By now, late September of 2018, it has become increasingly evident that something big is about to happen. What exactly that may be is anyone’s guess. But, whatever it is, we suggest you prepare for it now…before it’s too late. Indeed, it takes a lot of really positive energy – and a healthy bank account – to shell out that sum of money for a painting of “The Duke.” Still, positive energy, like good weather, can quickly turn negative. Soon enough, we suppose, the purchaser’s excitement will retreated to a serious case of buyer’s remorse. What this has to do with anything is a bit of a stretch. But art, if this qualifies as such, offers a rough barometer of social mood. Moreover, when the price for a painting of a 20th century actor that’s pretending to be a 19th century character of American nostalgia sells at nearly a million and a half bucks, we suspect something more is at work. Take oil, for instance. The price of WTI crude oil’s above $70 a barrel. Brent crude’s over $80 a barrel. Aside from a brief price spike at the beginning of summer, oil hasn’t been this high since its price collapsed in late 2014. What gives? In addition to regular supply and demand dynamics, oil markets are also subject to extreme government intervention. Specifically, the Organization of Petroleum Exporting Countries (OPEC) – a 14 nation cartel, which often works in concert with Russia – colludes to fix the price of oil to their liking. Yet for every opinion there’s a counter opinion. An argument that goes counter to another reasoned argument. Taken alone, each argument stands on its own rationale. Taken together, they contradict. 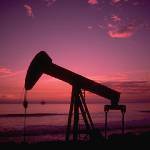 For example, petroleum geologist and oil analyst Art Berman believes rising oil prices will be largely short-lived. According to Berman, and a metric he calls comparative petroleum inventories, which compares inventory data to the five year average for any given week, crude supplies will soon move back into surplus. After that, oil prices will fall. Who’s right? Who’s wrong? Is oil going to $100 or $50 a barrel? Surely, time will tell. Here at the Economic Prism we’ll refrain from making an oil price forecast. However, we will offer one constructive anecdote. If you recall, back in June 2008, Brent crude spiked up to nearly $150 a barrel. At the time, many intelligent people claimed we’d hit peak production, and that prices would continue going up forever. Speculators chased prices higher reinforcing the popular peak production theory. Then, over the next six months or so, oil prices collapsed along with stocks and real estate. The point is, sometimes prices move according to the fundamentals of supply and demand. Other times they become disconnected from the fundamentals entirely. During a speculative mania decisions are guided by emotions over logic. At the moment, markets are poised for something big. You can sense it. The Fed continues to tighten the federal funds rate. The yield on the 10-Year Treasury note’s holding above 3 percent. Nonetheless, emotions continue to strengthen their grip over the market’s upper hand. Certainly, the time is right. Markets are ripe. What better vehicle than oil to provide an epic parabolic price spike and crash? This entry was posted in Inflation, MN Gordon and tagged art berman, john wayne, mania, norman rockwell, oil price. Bookmark the permalink.